Infrared horse solariums are widely acknowledged as highly advantageous to the equestrian world with proven welfare benefits. Our waterproof horse solarium options provide your horse with the perfect way to warm up, warm down, dry or simply stay warm and comfortable. As recommended by top equestrian vetinarians, Shadow ULTRA LOW GLARE infrared heaters produce 80% less light output than any other solutions to further protect horses sensitive eyes. Horses, unlike people, possess large numbers of photoreceptors in their retinas giving them enhanced vision in low lighting. The sheer size of a horse/ponies eyes also aids there light gathering ability. Recent research has gone so far as to suggest that a “headshaking” horse could be a photic headshaker, such horses are sensitive to light so shake their heads to relive resulting nose twitch/itch. In such a situation Low Glare infrared heating in your horse solarium provides enormous benefits as the lowglare heat sooths. 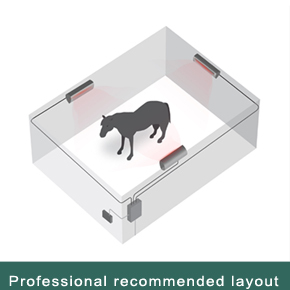 Why invest in a Shadow horse solarium for your stable? Shadow waterproof horse solarium heaters provide your horse with the perfect way to warm up, warm down, dry off or simply remain comfortable. 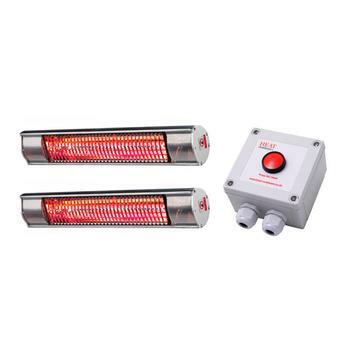 Ultra Low Glare by Shadow is the most advanced infrared heat lamp technology. Delivering instant short-wave infrared with an 80% reduction in light ang glare. For many years Shadow has set the standard for robust infrared outdoor waterproof heating systems across many industries, from restaurants and bars to warehouses and industrial spaces. Shadow is built to last and proven in any environment. Simply installed, Shadow heating sytems use a highly engineered parabolic reflector to dissipate the maximum amount of heat across the most even area coverage of any heater. The format of installation is proven to be better for horses than conventional over head horse solarium designs. 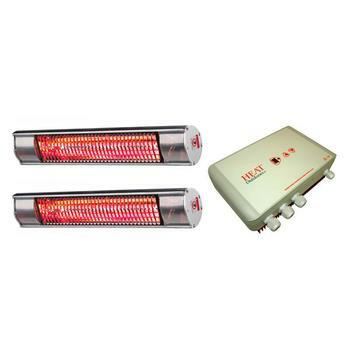 Heat Outdoors horse solarium heaters have improved the well-being of my horses, and as a result my performance in competition. Discuss your requirements with our friendly experts and they will assist you with your purchase and beyond. Additional text here, additional text here additional text here additional text here additional text here additional text here additional text here. CALLING ALL HORSE LOVERS. AS RECOMMENDED BY TOP EQUESTRIAN VETS, LOW GLARE INFRARED HEATERS WITH 80% LESS LIGHT OUTPUT TO PROTECT HORSES SENSITIVE EYES. Heat Outdoors solarium heaters offer the perfect way to provide a full horse solarium in the space you already have avaiable. 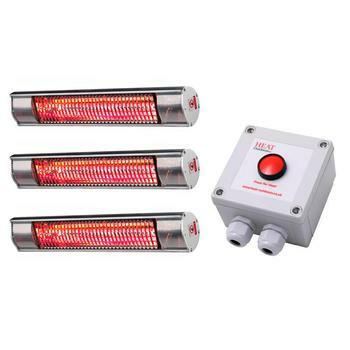 Our quality IP rated infrared heaters can be positioned in any stable or wash area and allow you to have the horse solarium quality without needing a dedicated building or worrying about water damage. Infrared light is nothing like harmful ultra-violet waves and horses cannot ‘tan’ or be harmed in any way from Heat Outdoors products. Furthermore there are no fumes or odours meaning horses grow to appreciate and seek their comfort as they are turned on due to the fact the heat feels completely natural and comfortable – identical to the feel of warm sunshine but in the comfort of the solarium. Heat Outdoors equestrian heaters are completely water and dust proof as well as easy to install with amazingly low running costs, meaning your solarium doesn't have to cost a small fortune. Low Glare Infrared solarium heating improves blood circulation through a ’vasodliatory response’ whereby biochemical compounds are transported around the horses body more quickly aiding digestion and increasing the flow of blood to organs. This in turn speeds up the dispersion of lactic acid through the horse and increases the flow of blood to reproductive organs which is believed to increase fertility in both mares and stallions. By warming horses before exercise the danger of muscle strain is greatly reduced as horses are not starting exercise with cold muscles whilst also shorten the time needed warming up before riding. Horses tense and cold muscles are prone to strain and unnecessary stress which can all be avoided with infrared stable heating. Moreover injured and unwell horses will particularly reap the rewards of infrared heating whilst they are recovering and also provides comfort to older horses. Infrared solarium heating has long been acknowledged as a healing and comforting heat source for horses and ponies. 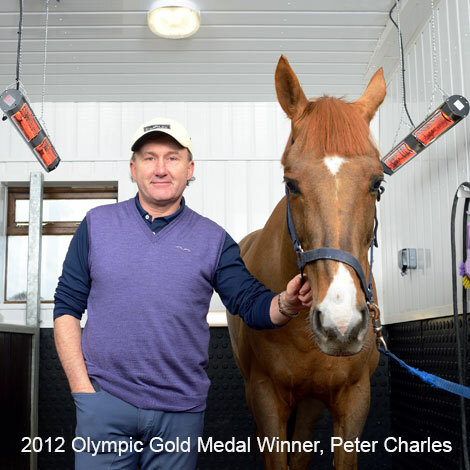 Heat Outdoors has enhanced that heat source and developed Low Glare infrared lamps to promote equestrian well being. 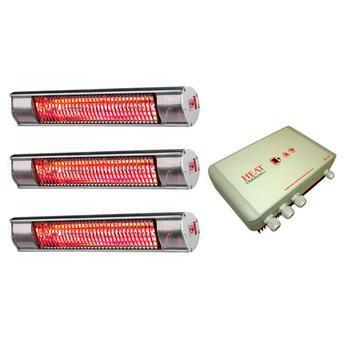 Infrared heating can not only warm your horses’ muscles prior to exercise, it also reduces the risk of injury. Low Glare lamps help to heal any muscular injury and relax your horse or pony after exercise whilst the gentle low glare lamp provides an ambient glow which assists in soothing your horse. Heat Outdoors has put together a range of packages to suit your solarium needs and requirements. Please call us to discuss the options available and which one best suits your needs. Clipping- The clipping process removes your horse or ponies coat and vital oils used to keep them warm. This can be most uncomfortable during the colder months. 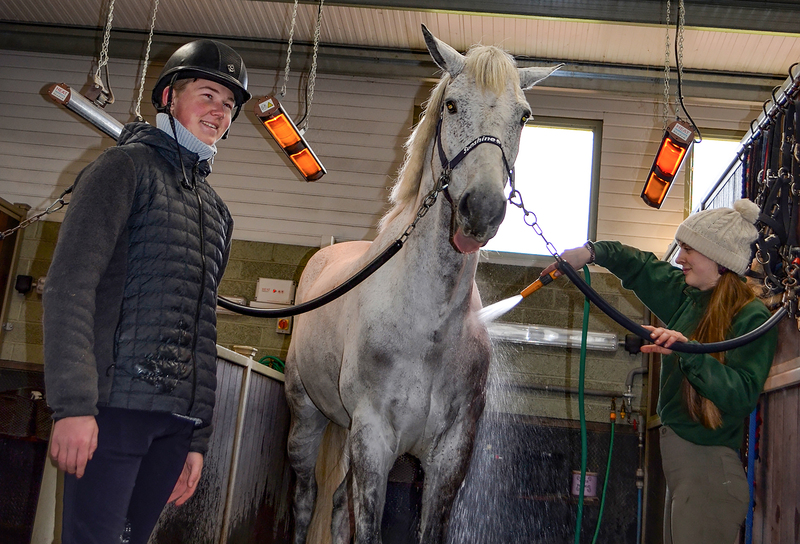 Our equestrian infrared horse solarium solutions provide instant warmth and ensures that your horse can relax during the entire clipping process whatever the weather and especially when they are wet after the wash down, ensuring their comfort throughout the entire process. Grooming and tacking up- Warming up before strenuous exercise is essential to protect muscles from strain because warm muscles work better. There is no healthier way to protect your horse than to provide it with instant heat inside or outside its own stable before being ridden. Warming down after exercise is just as important especially after a good sweat has been worked up. With Heat Outdoors equestrian options you can groom and tack up in complete warmth and comfort. At the flick of a switch, whatever the weather – instant heat. Horses (and riders) really benefit from being properly warmed up before exercise. Your horse will relax and enjoy getting ready and so will you! Drying- Just flick the switch and instant heat like the rays of the sun. Completely controllable and incredibly comfortable. Your horse or pony will dry even in the coldest of weather – even outdoors! No effort or stress, just give him some hay to chew on and make yourself a cup tea. Drying has never been so easy. Rug and tack drying- Hang your rugs and anything else in front of an infrared heater and you have the perfect dryer no matter how cold it is outside. Costing under 30p per hour to run, your rugs (numnahs, stable rubbers, tail bandages, dogs and Barbours) will be dry in no time. Muscle Relaxation- We all know that heat is an excellent healer and often used in physiotherapy. 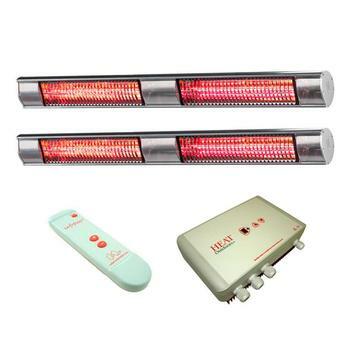 The infrared rays of our heaters is readily absorbed into muscle tissue, where it stimulates blood circulation and aids rapid repair. The perfect equine solarium with versatility and functionality. You can work on your horse under the lamps whilst they do their work in complete comfort. 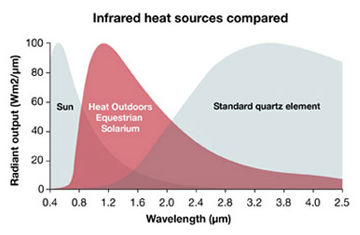 Horses and ponies can enjoy the benefit of infrared warmth for prolonged periods, whereas the outdated and cumbersome equine solariums that are presently available have very limited use. The turn of a dial or even using remote control. We offer a comprehensive range of heater controllers that can regulate the heat output and provide the perfect level of warmth in any conditions inside or out. Foaling and Wellness - The comfort and warmth provided by our equine solutions is ideal for foaling. The soft but effective light also allows discrete observation after dark, which is when so many mares prefer to foal so harsh conventional lighting is not needed to see what is going on. Show preparation - For those of us who show ponies and horses, or enter them into competitions such as show jumping, our equine solutions are a real boon; They help accelerate the natural moulting process, minimizing the stage in-between. Horses or ponies dried under our infrared heaters produce smoother, glossier coats because the natural oils in the coat are stimulated. Plaiting is much easier too and you wont suffer from frozen fingers while working with damp manes and tails.